It is evident that Nokia has to do something to compete against the iPhone and other Android phones. To put it simply, the Symbian operating system is just not cutting it. 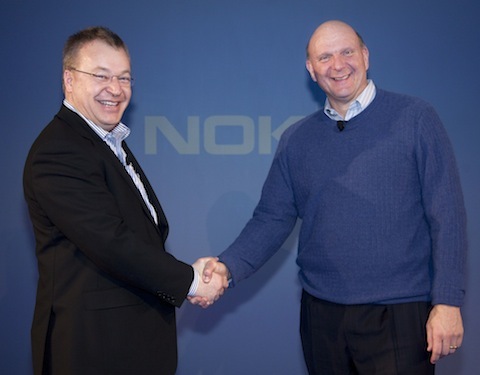 Stephen Elop, Nokia’s CEO, understands this and has worked with Microsoft’s Steve Ballmer to create a strategic partnership to build a new global ecosystem. What exactly does this mean? Nokia will be replacing its Symbian operating system with Windows Phone, Microsoft’s smartphone operating system. Nokia previously had planned on using MeeGo as an alternative to Symbian, but it seems that it is not part of this strategy. However, MeeGo phones will ship this year but only as an opportunity to learn. Check out the full press release after the jump.